This is my latest slow air, and I'm not completely happy with it. I've been working on bow control (using more) and vibrato control. Although I think I've made some progress on making my slow songs prettier, I'm still not completely satisfied. In this song, I don't think I have the rhythm quite right and I think that I'm putting vibrato in the wrong places... but the thing is, I don't really know how to fix it or where vibrato should and shouldn't go... so... help! the more advice you have to give the better. I have heard it said that vibrato is the way for players to express themselves, but I have never heard of guidelines. I am very glad you asked the question because I'd like to know too. White Belt here~~~~~~ > I don't know much about this instrument but I am trying to learn> I find when I play that every now and then I hit a note or two that just sends a charge up and down my soul. Thats why I keep going at it. When I listened to you play I could tell you were feeling the sounds, not just playing it, but feeling it. Thats what I felt when I listened to ya. Feeling it >> SWEET!!!!!!!!!!!!!!! I feel as though you did a BEAUTIFUL job with this one. 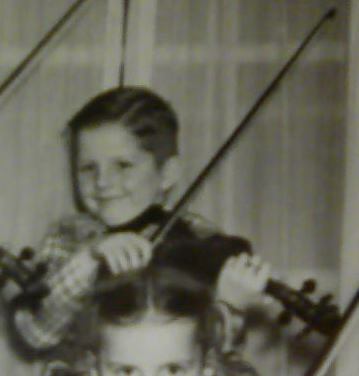 You look MUCH more relaxed here and the angle is perfect with your fiddle. I'm pretty sure you only need a center mounted chinrest to be more relaxed when you play many long hours. As far as vibrato rules go. Don't let the technique guide your vibrato. When you get to a climax not only should you play louder but your vibrato could get more intense. On lower notes vibrate wider and slowly while on higher notes narrower and faster. Though to be honest, you should play from the heart as you did and you'll touch a lot of people. What dynamic sound. Its quite an amazing little carved piece of wood. You let it serve you well. I agree with, FM. IMO, vibrato should be used where you feel it's needed. Much like a singer, their voice vibrato come's where it's needed and is not usually the full length of the note. Another find job, you are an inspiration to everyone here. Well, I am very; oh whats the word? not impressed because you are obviously very talented from your previous vids. I am surprised that you think it needs improvement, but that could show my lackings, lol. Dunno, I thought it was amazing and very beautifully done. I am glad you post and ask questions, it just shows that you are also still a student for life, no matter how talented you become. This is my latest slow air, and I'm not completely happy with it. It's well done, Jake. Love your vibrato control. Must be lots of work into it. Don't let the technique guide your vibrato. ...you should play from the heart...and you'll touch a lot of people. Thank you, FM. This is the greatest tip I've ever found. I actually copy and paste your tip/advise to a notepad for reference. Jake I have a criticism of the peice, are you ready? I'm nobody so don't even feel that you need to listen to me. But I could tell something hard to put into words.. something else... Probably, I think, you're holding back emotionally during the peice and it's touching you in a very personal way that your pushing back against, naturally. Go with it. You may get tears in your eyes. Follow the music into that place where it's reaching. Not just you.. all of us, we're closed off when we need to be open to receive. I don't know exactly what that means but something about allowing life, music, and our talents to blend in a way that nature calls for... like siting on a small boat going down a small river.. the boat tends to rock this way and that, and turn this direction or that. With your skills at the helm and your talent, Jake, you could really open up and give more to the peice and be more expressive with it. Does that make sense or am I just jabbering on?? Mark, sounds to me like your jabbering on. However, Its very insightful jabber. I think you might be onto something. Just from my own play of what sounds good and what feels right. When you "force" the music to flow, it tends to dribble lifelessly out. When you open the faucet, music just gushes out freely and unhindered. Full of life, depth and grabbing. i think it's quite lovely.